Picture this: thousands of volunteers of all ages across Richmond and the Tri-Cities working on more than 60 projects to make a difference and support the missions of nonprofits in our region. What does that look like? It’s cleaning up and beautifying a Richmond landmark – The Byrd, it’s building an aviary for an endangered bird in Midlothian, it’s painting a home for our neighbors with intellectual disabilities, and so much more. 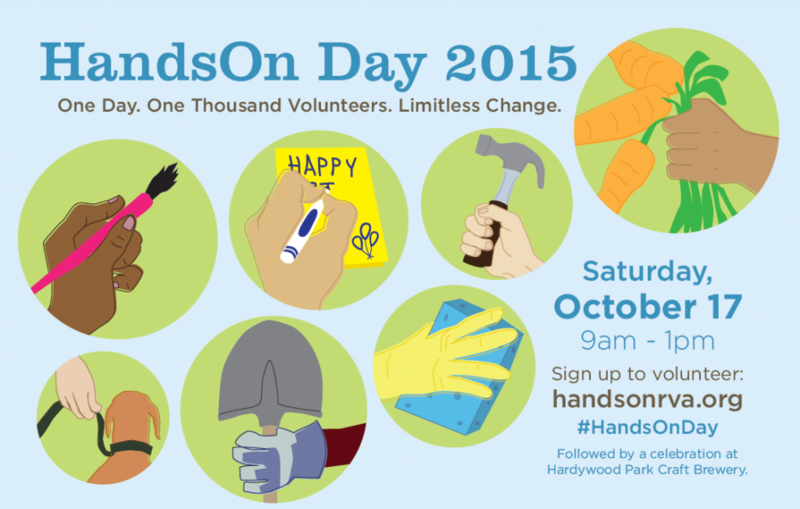 It’s the Eighth Annual HandsOn Day, held on Saturday, October 17th from 9 a.m. to 1 p.m, hosted by HandsOn Greater Richmond. 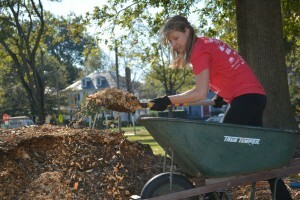 A celebration at Hardywood will follow the day of service. This project is washing the exterior-facing windows and railings and cleaning up the city-owned alley behind the facility to ensure guests arrive to a welcoming atmosphere. Help the Byrd by performing regular maintenance and cleaning for Carytown’s historic jewel so that it may continue to serve the community. Volunteers are needed to move heavy furniture and help restore the third floor of the education building after damage from a storm. Volunteers are needed to help clean the refrigerators and freezers to be ready for the donations, to drive to pick up food, weigh the food and stock the shelves, and pick up donations from the Clothes Closet donation bins throughout Goochland County. This project will paint the living room, hallway, and one bathroom at the Garber Morris Home, where adults with intellectual disabilities have the opportunity to live in a family setting while making personal choices, achieving individual goals, and contributing to the surrounding community.. 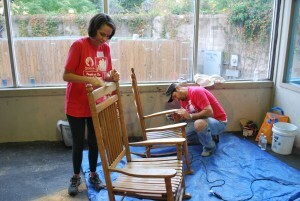 Volunteers will clean and organize, assist customers, and unload furniture. Volunteers will help create a warm and inviting place by cleaning windows, raking leaves, and assist with indoor cleaning projects. Volunteers will work with residents with intellectual disabilities on a pumpkin carving project and in making decorations for Halloween. 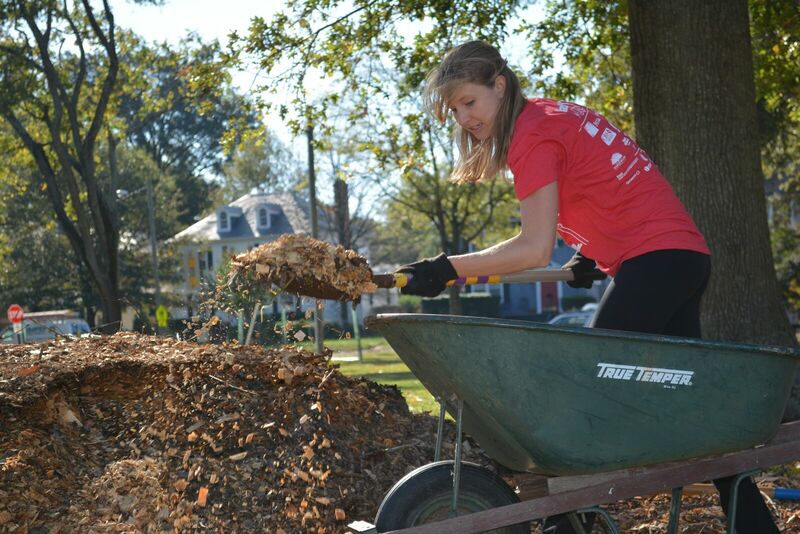 Last year, HandsOn Day brought Richmonders together to provide more than 4,810 volunteer hours at 65 different opportunities with nonprofits and community organizations—a $117,797 value of volunteer time invested in the community. 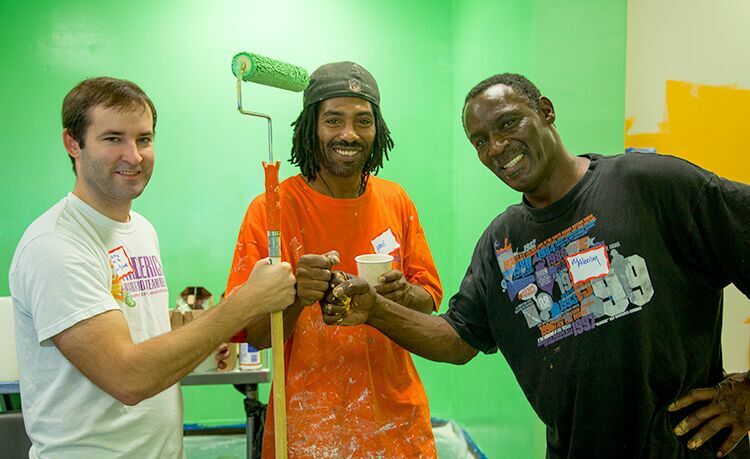 With your help, HandsOn can make an even greater impact through this year’s day of service! HandsOn Greater Richmond is one of four programs of the Partnership for Nonprofit Excellence, which provides nonprofits in Central Virginia with the tools they need to improve their effectiveness and efficiency for greater impact. Read about the benefits of volunteering here, and be sure to sign up for a HandsOn Day project here.